Since 1997, we've helped divert 80 million pounds of reusable building supplies from landfills. Stardust Building Supplies is a 501c(3) charitable organization. All donations are eligible for a tax deduction. Our products are offered at 50% to 80% off regular retail price. Come shop gently used appliances, furniture, and more. 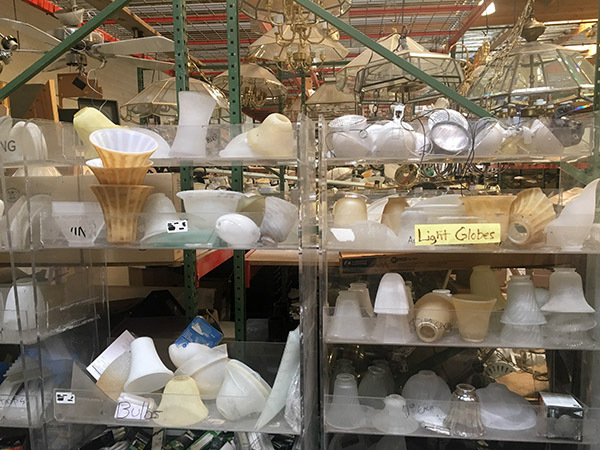 We have a ton of glass shades in the warehouse waiting to be repurposed! 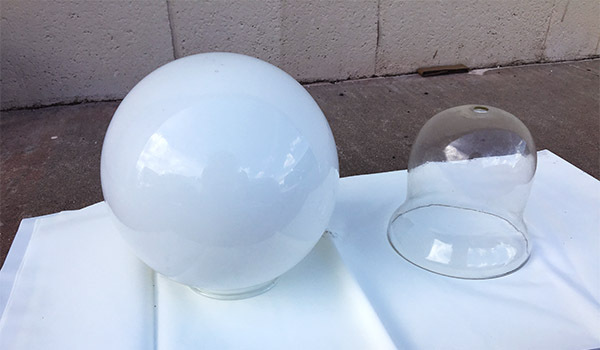 Globe shaped shades are ideal for this project. Bell shaped shades work as pumpkins too but they make even better ghosts. Check out Sadie Seasongoods Halloween ghosts here. Start by dripping the paint at the top of the shade and let it run down the sides. 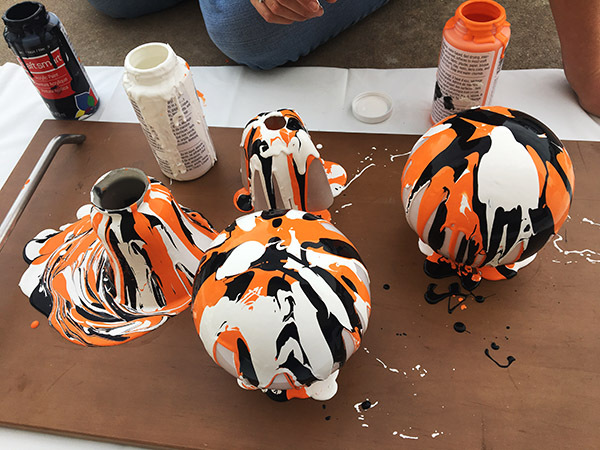 Be aware that this gets messy so choose where you paint wisely. And, be careful not to drip the paint on too thick otherwise you end up with cracking. On a side note, if you leave a few areas paint free you can add a flameless candle underneath and let the light shine through. After you have finished painting let the glass shades dry overnight. While the shades are drying work on the stems for the pumpkin. Using a pencil wrap the flexible wire around it to create coils. 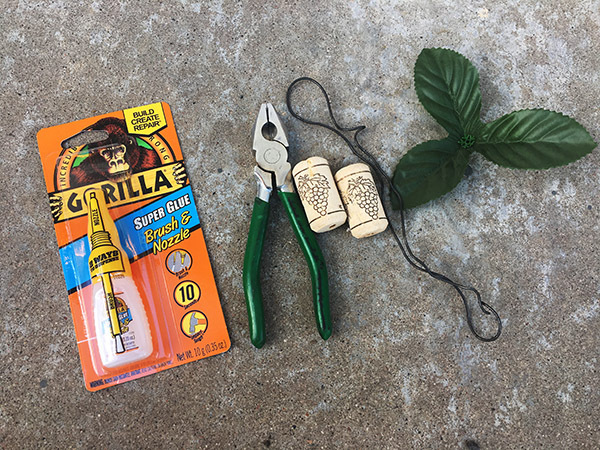 Next, attach the coils to the cork using glue or by poking a hole into the cork itself. After the paint is completely dry attach the stems to the top with glue. You can also add fake leaves but it’s not necessary. Finished! 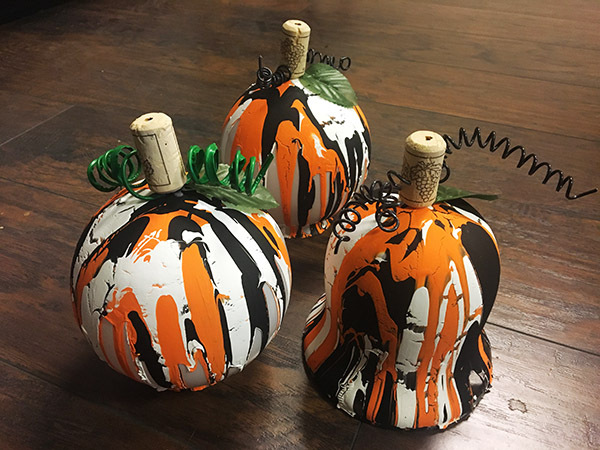 Now you have decorative pumpkins you can reuse over and over again every Halloween. Our inventory changes daily, with prices 50-80% lower than department stores. 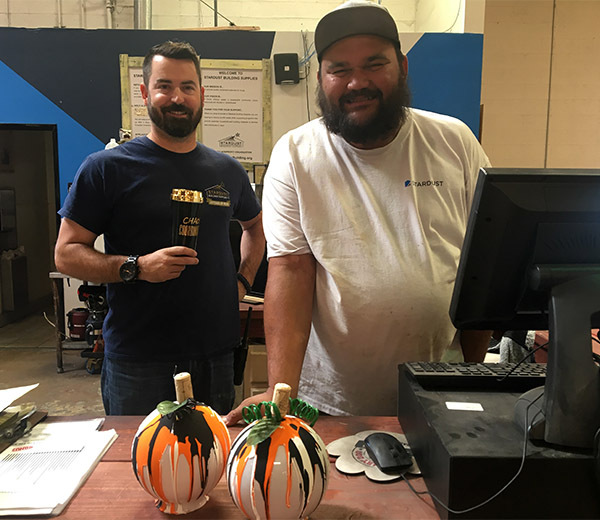 Your material donations help support our mission of reuse, and give materials a new life. Stay up-to-date on Stardust news, sales, inventory and more.